A VMP Video Mount Products Distributor and Electronics Parts Supplier since 1962, Arcade Electronics has stock and Great Pricing on VMP Products. 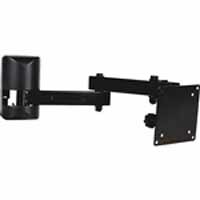 Video Mount Products VMP has been a leading provider of mounting solutions for the A/V, communications and security industries since 1994. VMP's products consistently offer the latest designs in safety and flexibility, all at an outstanding value. AK-2 VMP Adapter Kit for VMP042/044, VMP046/048, and LCD-1C. Adapts mounts to be used with standard 1" n.p.t. plumbing pipe. Video Mount Products VMP has been chosen by video, audio, custom install, and security industry professionals and consumers alike Since 1994. VMP's unmatched designs, famed reliability, and long term durability have become a staple for mounting applications across a wide variety of industries.